Introducing an exciting new kind of EVENT for Mavis’s Kitchen. We welcome an Impressive new electronic act brought together by Producer, Artist, Dj & Ibiza global radio presenter – Jamie Porteous. Jamie has hand selected a mix of artists to complement his Balearic beats in our outdoor setting. A saxophonist, & Nigerian born drummer together with his digital sounds will entertain us from late lunch into the early evening as we finish this epic afternoon of sound with a roaring Bonfire. As much as this event will feature some of our favourite food & dining features – Ink gin, stone & wood + Kind coffee “tapped” Espresso Martinis each holding their own pop-up bar & Mavis’s popular street food & fire cooking representations. This event is very much focussed on the talent of the artists involved – with Jamie himself having had worked with Groove Armada, Lady Hawke & Brian Ferry (just to name a few) his selected drummer Austin having had toured with Snoop dog & his didgeridoo player being from Yothu Yindee. This is a remarkable set of players coming together to create a new sound, each of them excited to play in such a unique setting. 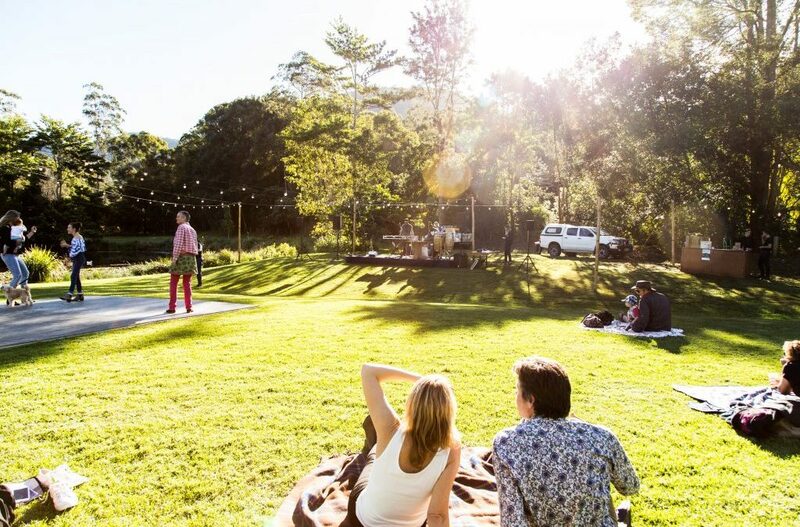 Bring a picnic rug, relax and make an afternoon of this incredible musical event out in nature.